Late Sunday, the United States, Canada and Mexico reached an agreement in principle on the North American Free Trade Agreement (NAFTA), renamed the US-Mexico-Canada Agreement (USMCA). The news was met with praise by Minnesota farmers. 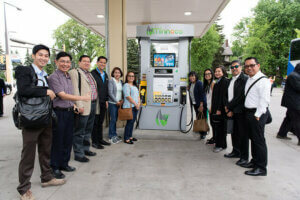 Industry and government officials representing 17 countries in Asia and Oceania met in Minneapolis last week for the Ethanol Summit of the Asia Pacific. 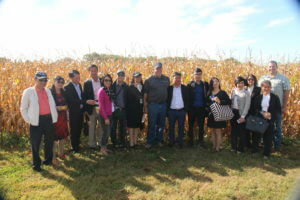 There, high-level officials from agriculture, environmental and energy ministries representing the region met with members of the United States ethanol industry and U.S. officials to discuss current and future prospects for expanded ethanol use throughout the Asia Pacific. 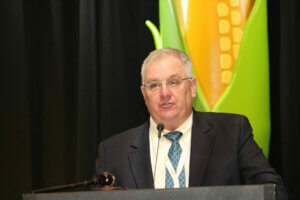 To begin the event, the Minnesota Corn Growers Association worked with event sponsors U.S.
Minnesota’s agricultural production exceeds $16 billion annually, making it the fifth largest in the country. 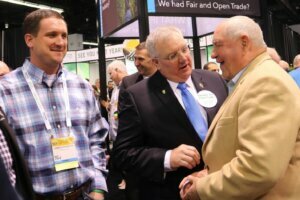 Reports are now surfacing that a meeting will take place Monday to negotiate potential changes to the Renewable Fuel Standard (RFS). It is expected the meeting will include both supporters of the ethanol and the oil industry, including lawmakers and executives from each. Minnesota Corn Research & Promotion Council (MCR&PC) member Chad Willis recently joined the U.S. Grains Council in Morocco to see the country’s emerging ag sector up close and its opportunities for American agricultural exports. 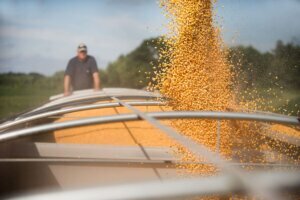 Earlier this week, the U.S. Department of Agriculture released its outlook for 2017 U.S. corn, with September production and yield estimates up slightly from August. Just after the report was released, corn futures declined. While demand for corn has struggled to keep up with record-breaking yields, international market share for U.S.-grown corn has decreased with additional countries entering the market. These factors and more have led to struggling corn prices and tight margins for Minnesota farm operations. 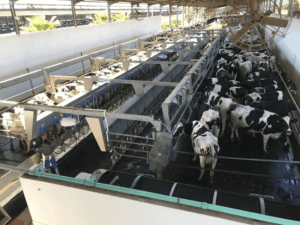 It takes a lot of feed to grow a pig to 300 pounds, and that feed can be the biggest cost for the producer. 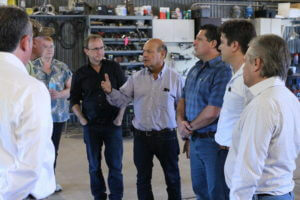 So when principals in Mexico’s second largest pork production company, Grupo Kowi, realized they could replace a significant amount of soybean meal feed for a high quality substitute at half the cost, they became interested enough to come to Minnesota to check it out. Julie and Jerry Demmer, Clarks Grove, Minn, were recently honored as a University of Minnesota (UMN) Gopher Hockey ‘Farm Family of the Game’. UMN and the Minnesota Corn Growers Association (MCGA) are honoring farm families this hockey season, spotlighting the importance of using best management practices that help preserve Minnesota’s rich natural resources. 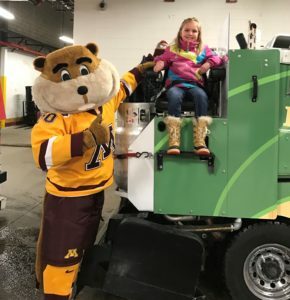 In recognition for their conservation work, UMN hosted the Demmer family at a men’s hockey game this past month. 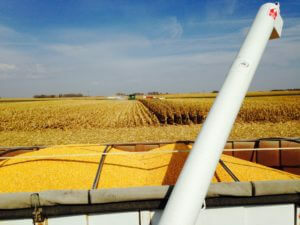 How important are export markets to Minnesota farmers?